Jaguars' GM On Dede Westbrook's Two Domestic Violence Arrests: "Many Of Us Have Been Accused Of Things"
Westbrook has never been convicted of domestic violence, and charges were dropped after each of his arrests. In 2012, he was arrested after allegedly throwing the mother of his two children to the ground, and in 2013, he was arrested again after allegedly punching her in the face with a closed fist after biting her arm, as detailed by the Tulsa World. In the first case, the woman initially declined to press charges before changing her mind and returning to police six weeks later. In the second case, charges were dropped only because the woman did not respond to court correspondence and could not be located to appear as a state witness. 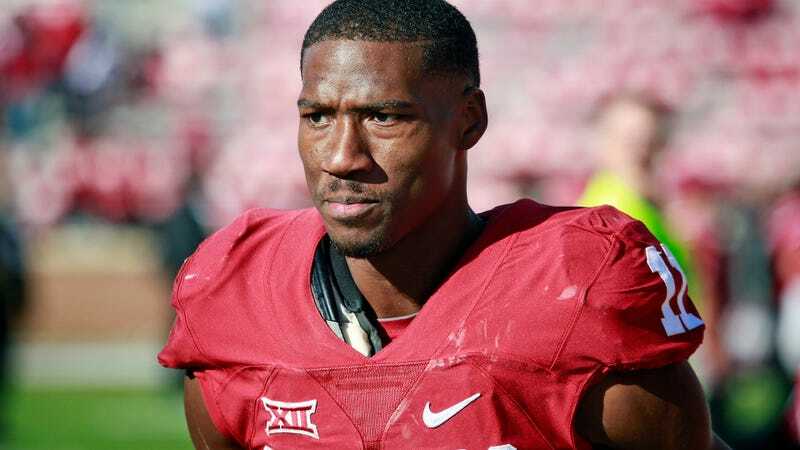 Oklahoma began recruiting him from junior college in 2014, but many of us have been accused of things—including David Caldwell, who can reasonably be accused of blithely generalizing domestic violence accusations as something unavoidable that just happens to many of us.